The way you collect and store your data is changing. That’s why you need a storage solution with the flexibility to meet your evolving needs. 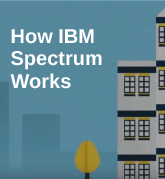 Meet the future of storage now; IBM Spectrum Storage is here. Spectrum Storage is a scalable software-defined storage solution that gives you access to a suite of products that are responsive to your needs. What you get is an efficient storage suite that grows with your data. Want to understand how Spectrum Storage can improve your storage environment? Analytics-driven infrastructure management for virtualized, cloud and software-defined storage. Designed to help organizations easily transition to new workloads and updated storage infrastructures. Data protection platform that gives enterprises a single point of control and administration for backup and recovery. Enables reliable, scalable and cost-effective backups, and fast recovery for virtual, physical and cloud environments in organizations of all sizes. Store data economically and sustainably. Fast data retention allows you to easily move infrequently accessed data from disk to tape without proprietary applications. Enables virtualization of mixed environments to maximize data storage capability. Easily move data between different pools of storage without disrupting applications or users. 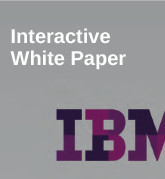 Designed to rapidly deploy data to public, private and hybrid-cloud environments. While traditional storage offerings could take weeks or months to acquire and deploy, Spectrum Accelerate can get it done in under an hour. High-performance, highly scalable storage for unstructured data. Supports collaboration by keeping workers connected to the data and resources they need, allowing for accelerated schedules and improved productivity.